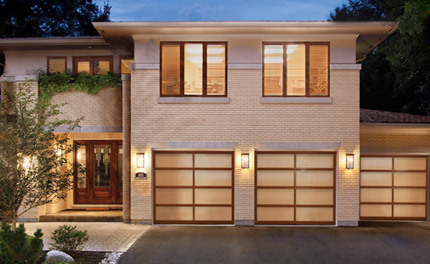 Problems with garage doors aren’t limited to the garage doors themselves. You may also encounter difficulty with your garage door opener. If your garage door isn’t working correctly but the garage door itself seems to be undamaged, your garage door opener may be in need of replacement or repair. Perhaps your garage door opener may not be opening your garage door smoothly, may only work intermittently or may not work at all. No matter what the issue might be, for garage door opener repair in Mesa or Flagstaff AZ, contact Stapley Action Garage Door. If you don’t see your brand of garage door opener here, give us a call anyway at 480-655-1255. Let us know what type of garage door opener you have, and we’ll see what we can do for you. When you call Stapley Action Garage Door for garage door opener replacement or repair in Mesa, Flagstaff or other surrounding areas in Arizona you’ll get a friendly, expert technician who will quickly and efficiently diagnose problems with your garage door opener. At that point the tech will explain to you in clear, easy-to-understand terms what the problems are and how much it will cost to repair or replace the garage door opener, depending upon the severity of the problem. We like to give the consumer their options and let them decide which route best suits their needs and budget. You get a free estimate for all work so you know exactly what you’re getting into before the work begins. Once you sign off, the Stapley Action Garage Door team will repair or replace your garage door opener as quickly as possible without sacrificing quality, so you can get back to your daily life. If you are looking for garage door opener replacement or repair in Mesa or Flagstaff AZ, Stapley Action Garage Door is the only choice. And remember, if you have any other problem with your garage door in Mesa or if you’re ready for a new garage door, Stapley Action Garage Door can help you there, too. We have been servicing the Mesa area for three decades — installing, repairing and replacing garage doors and garage door openers for the Mesa, AZ community. To request an estimate or to schedule garage door opener repair, contact Stapley Action Garage Door today or call us at 480-655-1255. You’ll have your problem diagnosed and a solution offered at a reasonable price before you know it, so you can go back to enjoying a fully functioning garage door the way it was meant to be.